While you prepare to dive into this weekend, why not check out a little bit more Outlander content? Today, we’ve got a series of videos below via Sony Pictures at Home in the UK featuring none other than series author Diana Gabaldon alongside executive producer Toni Graphia. In the videos below, you can see a good bit of fun discussion from the two on a number of different subjects, including the transition from book to script, how involved Gabaldon is in the casting process (not too much), and also getting a chance to see more of Roger in future seasons. Who doesn’t love themselves some Richard Rankin? One of the more interesting commentaries in here comes on the subject of the series’ long-term future, with Graphia noting that she is happy to keep making the show as long as possible and she feels like this is some of the most-fulfilling work that she has had within her entire career. Obviously, this is something that many fans would also love to see, largely because the thirst for more Outlander hasn’t quite gone away. Season 4 is premiering this fall and we’re hoping that at some point in the coming weeks a renewal for at least a season 5 (if not also season 6) is coming. There does seem to be a consensus among Diana and Toni both that the series isn’t going to ever get ahead of where she is in the books … which does make some sense given where we are right now. Assuming that Go Tell the Bees That I Am Gone comes out in the next couple of years, that would still give Gabaldon many more years to release a tenth and presumably final book before an Outlander season 10 happens. That is, of course, suggesting that the series makes it to a season 10 and, beyond that, there continues to be one season for every book or that there continues to be a season made every year. While they’ve held to that schedule the past couple of years there could be a longer hiatus down the road — after all, making this show is pretty all-consuming from a production end with very little time wedged in for a break. Related – Be sure to check out a really interesting making-of when it comes to the season 1 promo art? Hopefully, these four videos give you a little more behind-the-scenes insight while also preparing you for what’s coming up next. They were made in celebration of the recent DVD / Blu-Ray release for season 3, so if you haven’t picked one of those up yet be sure to do that as soon as you possibly can. Check out our own video below! For more, subscribe to CarterMatt on YouTube. 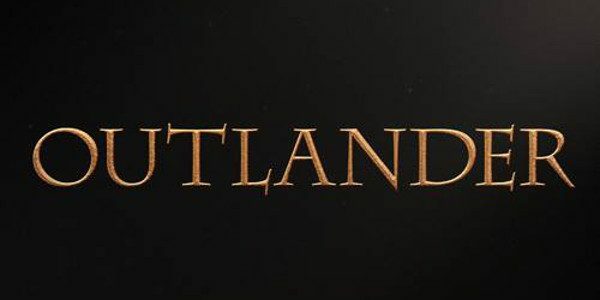 Want to get some other news when it comes to Outlander?